Today I did something naughty. Unfortunately, it pales in comparison to the disobedience of some of my classes. Unhappy with the points delegated for your team answer? Sure, feel free to rocket propel your sandal against the front board. The chalk shrapnel almost took out my eye and it certainly ruined my outfit. Fast forward to the justification of my indulgent act. Today was that day, and I made it out alive from one of my most notorious classes — all except my vocal chords. The noise level seemed to hold at a nearly deafening level. In attempts to maintain order, my vocal chords were compromised. On my way home, I cruised by a local CU Mart, one of the multitude of convenience stores in every block. In the front of the store, a baked goods section caught my eye. 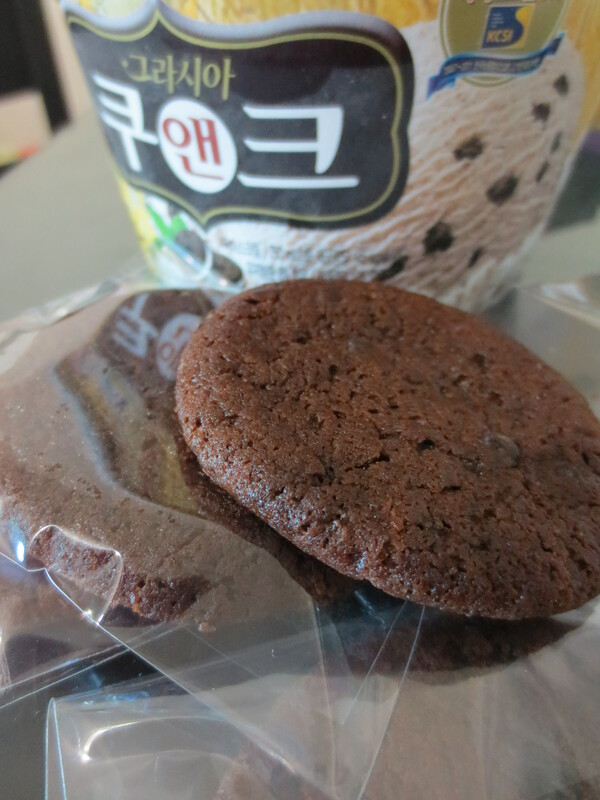 Small, chocolate cookies were available for merely 300 won. They molded to my touch and the sale was sealed. I scooped up four and hustled home to remedy my tired voice. Leftover from a healing session just a few days earlier (Could you imagine – those children were even worse…), I had a container of cookies and cream ice cream. The chill of the ice cream is the perfect refresher. I heaped it on top of a chocolate cookie, smashed another on top, and we were in business. The effects of this remedy were nearly spontaneous. Without question, I knew it was my duty to share. Cheap, efficient, and natural. I have a feeling my classes are going to be rough tomorrow. I LOVE LOVE LOVE cookies and cream ice cream. ESPECIALLY the Korean brand. And even though I don’t like coffee, the Korean version has a hint of coffee, which I think makes it taste great! 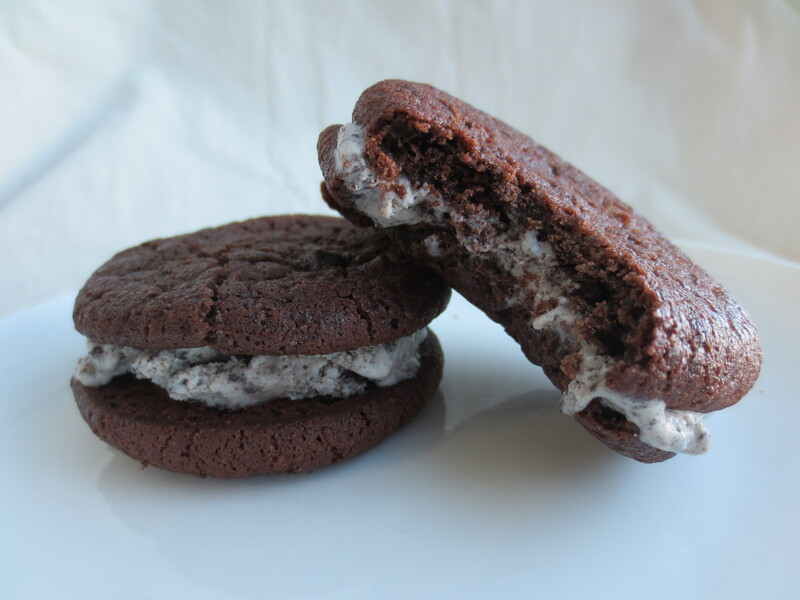 Wish I’d thought of homemade ice cream sandwiches this past Friday when 1 of about 15 students I told to leave the classroom for weeks of repeatedly not bringing a textbook, pen, or manners, had the nerve to be the one to get upset and bash his head into the glass window. Needless to say glass was everywhere, he bled and had to be picked up by an ambulance. An epic EPIK class for the books. So as bad as I feel for you, the selfish in me is glad I can commiserate with someone lol!!! But for real I hope your classes get better soon… I haven’t had this ice cream in a while. So thx for the reminder. I’ll be picking some up soon. And sandwiches, that’s Cheap, efficient, and natural…. and Genius! Wow. Just, wow. Girl-you’ve just earned yourself a prescription for 18 cookies and cream sandwiches. Teacher’s orders!